Judi likes to write about trending topics from history to animal care to travel. 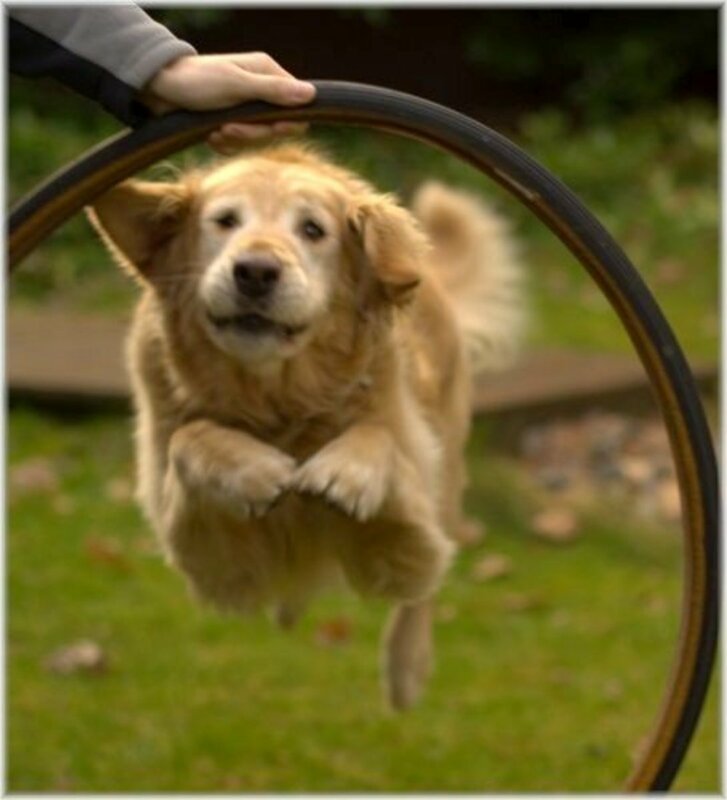 The Golden Retriever consistently takes a place in the top ten family dog breeds lists of several countries. These lovable dogs are intelligent, friendly and love to please their owners and because of their sweet and calm nature they are ideal companions for children. The breed traces its origins back to Scotland. Lord Tweedmouth, a keen hunter, wanted to breed a dog to retrieve waterfowl during his shoots and set about a breeding programme that included a Tweed Water Spaniel, a yellow Wavy-Coated Retriever, Flat-Coated Retrievers and a Red Irish Setter. The breed is easily recognisable and due to its colour and size, the names that may suit a black dog, a small dog like a Chihuahua or a big dog like a Newfoundland, or even a feisty Wire-Haired Fox Terrier, aren't going to fit. 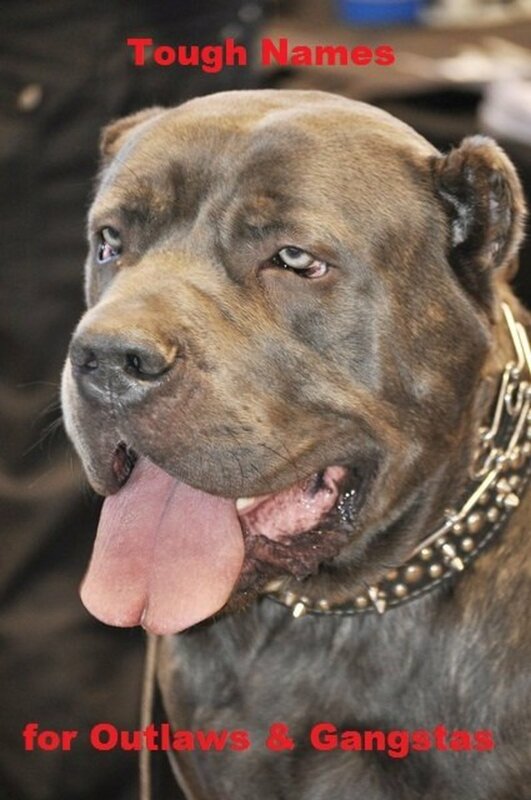 How Well Do You Know the Breed? 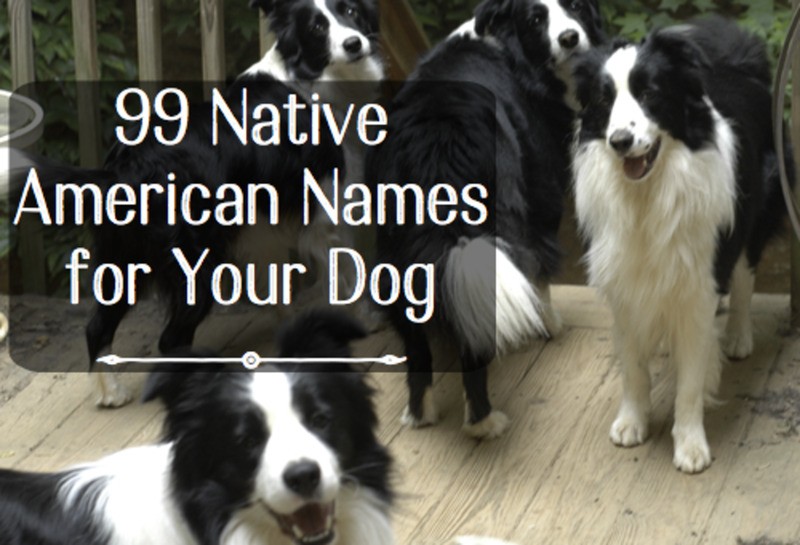 There are a number of ways to choose a name for a dog. You might go with a name based on its colour; the breed's coats range from a very pale gold through to a rich reddish-gold which lends itself to names that evoke images of the sun, gold or light. Alternatively, you might prefer to delve into the breed's past and go with a Scottish name. Or perhaps your dog has a personality trait that could be reflected in his name. If you are stuck, here are some suggestions for names. If you have a pale or very light coloured dog, why not choose a name with a "light" meaning? If your Golden Retriever has a rich golden colour, think of the sun, sand and, of course, gold! 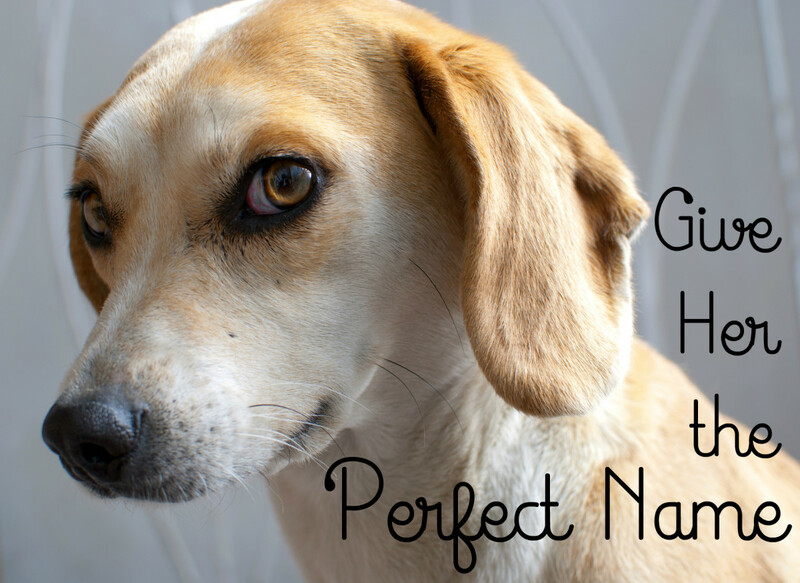 Maybe you would prefer to name your dog for his best qualities. Think of names that suggest friendship, love of water or loyalty. Here are a few to get you started. Males can be beautiful too and just as friendly—sometimes they have a tendency to dig! As retrievers were bred to help in hunting, why not consider Hunter, Todd or Wilder. There are plenty of Golden Retrievers who find themselves up for rehoming through no fault of their own. In the UK you can find breed specific rescue organisations by following this link from the Kennel Club. 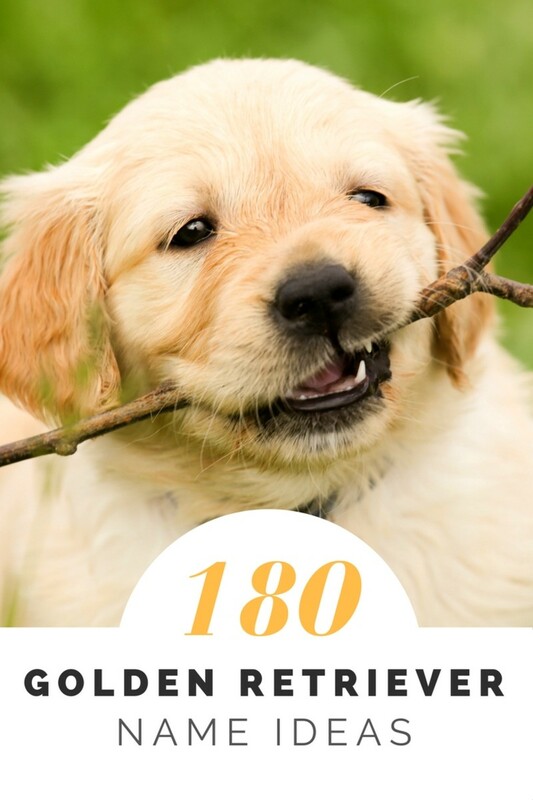 In the USA, the National Rescue Committee of the Golden Retriever Club gives advice and a lists of regional Golden Retriever rescue organisations. 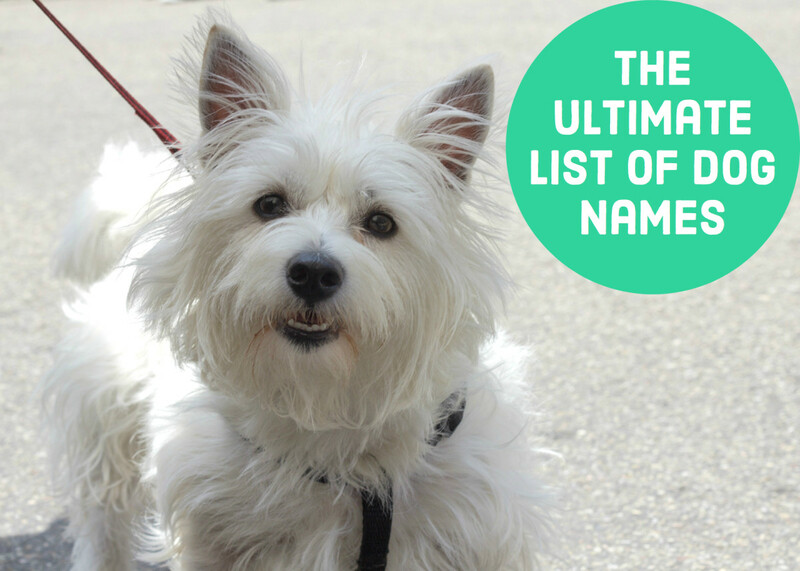 Choosing your puppy's name is one of the most fun parts of having a dog, but it's also one of the easiest. Before you bring a puppy home make sure that you have checked out the breed profile and honestly assessed whether you and your family have the time, space and money to take on the long term commitment of a dog. Do that and you'll all be happy! 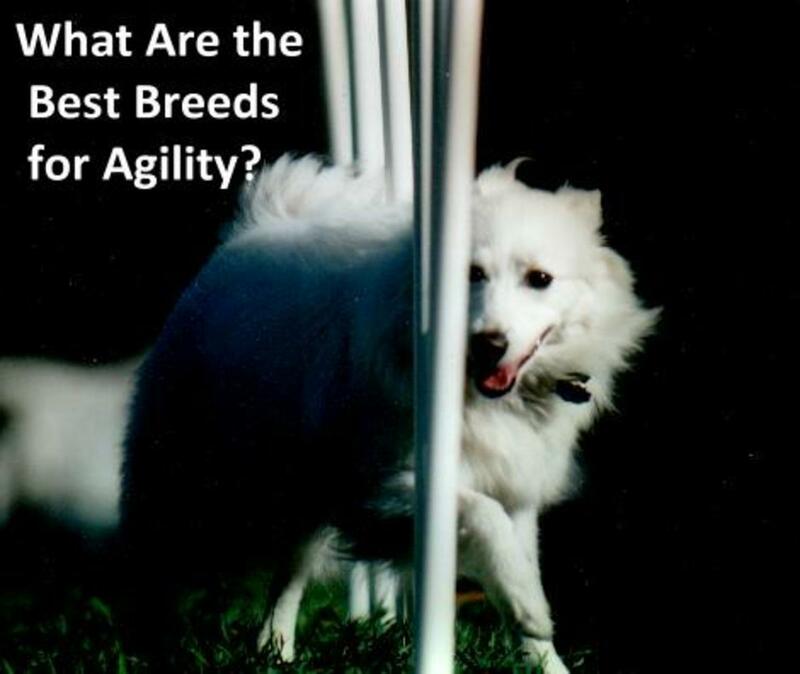 What Are the Best Agility Dog Breeds? Thanks - glad you enjoyed the list! Really enjoyed the list of names for Goldens. You have very thoroughly described each and every name here. I guess this will help every pet parent. Thanks for sharing. I enjoyed this hub because I have owned four golden retrievers and a duck toller. Right now, we own two goldens and a duck toller! I was hesitant on the quiz that said goldens are easy to train. I said "Yes" because most are, but one of mine inspired me to write a book about him because he was so bad! LOL! But, we loved him dearly. Voted this hub up. Enjoyed the names. Hi Angela - glad you found this useful, hope you choose a good name - and lucky you, having a cute puppy! Thanks for taking the time to comment! I like this site. My lab just had pups and she had one golden lab, along with nine others, and I am keeping her. But I can't come up with an unusual name for her. Hi billy - Bracken is a good name - from memory, I think it was the name of my Airedale's mother. Thanks for taking the time to comment, I appreciate it. Hi zaton - glad you enjoyed this hub. I've got a few hubs on baby names too - but Eleanor is a lovely name, always reminds me of Richard the Lionheart's mother, Eleanor of Aquitaine. Thanks for taking the time to comment, much appreciated. Beautiful hub...was quite pleasantly surprised at many of the meanings of Old English names. Eleanor may very well be the name of my unborn daughter lol. Hi Janis - I know a few girls called "Kayleigh/Kayley" which I always imagine is an Anglicised spelling of Ceilidh (could be wrong though!) Great name for a Golden Retriever, they are kind of entertaining! Thanks for your comments, great to hear from you. My aunt loved Golden retrievers--Cara and Ceilidh, named for a Gaelic party with singing, storytelling, and music. They seem such stately, calm dogs, although I have never had one. Hi Susan - very good friends of mine who have also had dogs all their lives had a special Golden retriever. Sunny really was the light in their lives and they had a special bond with him. He was a gorgeous boy. I hope you have many years with Talley ahead of you. Thanks very much for taking the time to comment, it's appreciated. I have the most wonderful Golden. She is 6 1/2 and her name is Talley. I have had a number of dogs in my life (all of whom lived to age 17 ... Lucky me!) and I have loved each of them. However, Talley is a truly special girl. Can't imagine ever having anything but a Golden ever again! Hi Will - my husband's aunt always called her dogs Henry - they were always West Highland Terriers with a bad temper (may be they didn't like the name Henry). I also had a friend whose uncle was called Buster - wouldn't dare suggest that he was rough though! Many thanks for taking the time to comment, always appreciated. All my dogs have been called Buster. But they were rough, tough mongrels who deserved it. Retrievers really do deserve more gentlemanly or ladylike names. And you have certainly found some good ones! Hi Eddy - I think you are right! Thanks for taking the time to comment, I appreciate it. I think that Sunshine would be a great name. Hi Ruth - thanks very much! Glad you enjoyed this hub. Lovely hub. Simple and well written. Voted up and awesome. Hi theraggedge - glad you liked this one, it was fun to write. How lovely to be a puppy walker. At school my form always nominated Guide Dogs for the Blind as a form charity and we were so excited when we were sent a photo of a pup that our money had helped to train. Didn't know that they were named like that. Thanks for commenting, appreciated as always! Lovely suggestions - I also like the way you encourage people to think of their own by making associations. A Retriever pup may be coming our way soon, as we have been accepted as Guide Dog puppy walkers - though it might be a Labrador or a GSDx one of the other two. Unfortunately we don't get to name him/her. All the pups in a litter are given names beginning with the same letter. Hi Relationshipc - we met one this morning called "Biggles" which made me smile. I agree that they seem so lovely whatever their age. Thanks very much for taking the time to comment, much appreciated. I don't know why but 'Stan' always comes to mind when I think of a Golden Retriever. I must have known a 'Stan' in my past lol. I love these dogs, they are so fun as puppies and so chilled out and cool as seniors. They really are the perfect family dog. At a kennel I worked at, they were the ones that were happy during every part of the day. Feeding time, outside time, play time, nap time - they never complained. Made me fall in love with them even more. Hi Susan - both my daughter and I would have loved one too, but her asthma made it impossible. We are all really happy with our Airedale, which was my husband's suggestion - she has turned out to be an utter sweetheart, but independent and just a little bit eccentric. Thanks for your comments and for the compliment on the layout! The Golden Retriever was my second breed of choice when we got our dogs. Love them. Love the layout of your hub. Hi Glimmer Twin Fan - I haven't met a horrible Golden Retriever yet - they probably exist, but I bet there aren't many. Thanks for stopping by, great to hear from you. My sister-in-law and her husband had a golden retriever. Boy was he a fantastic dog and great with kids! Nice hub. Hi GoodLady - I would have loved to have a GR, but my daughter tends to get allergies - cats are a real problem and we know that some spaniels set her off - so we couldn't risk a heavy shedder. Fortunately, the Airedale we chose instead is gorgeous, doesn't shed and has a very lovely personality - wouldn't swap her for anything! Love the name Blue - thanks for stopping by, always appreciate hearing from you! Hi Carly - the photo is seriously cute! I will add the information about rescue to the hub - here in the UK there are breed specific rescue associations too. Thanks for taking the time to comment, always appreciated! Thanks for your comments, and well done for getting 100% on the quiz! 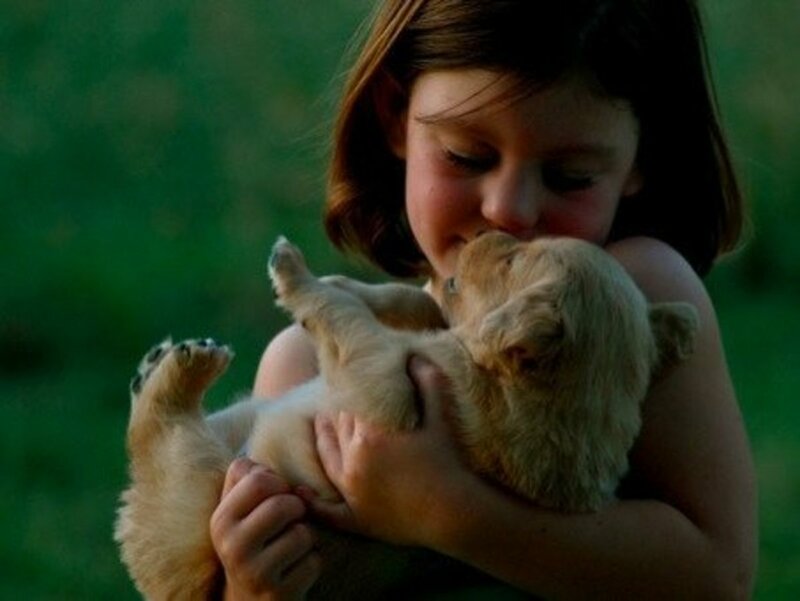 oh, I just love that picture of the girl and golden puppy. We rescued our golden retriever. Each state has a rescue for certain breeds so if want specifically a golden you can Google your stat's name and golden retriever rescue. We named our golden, "Lady." LOL, very simple. 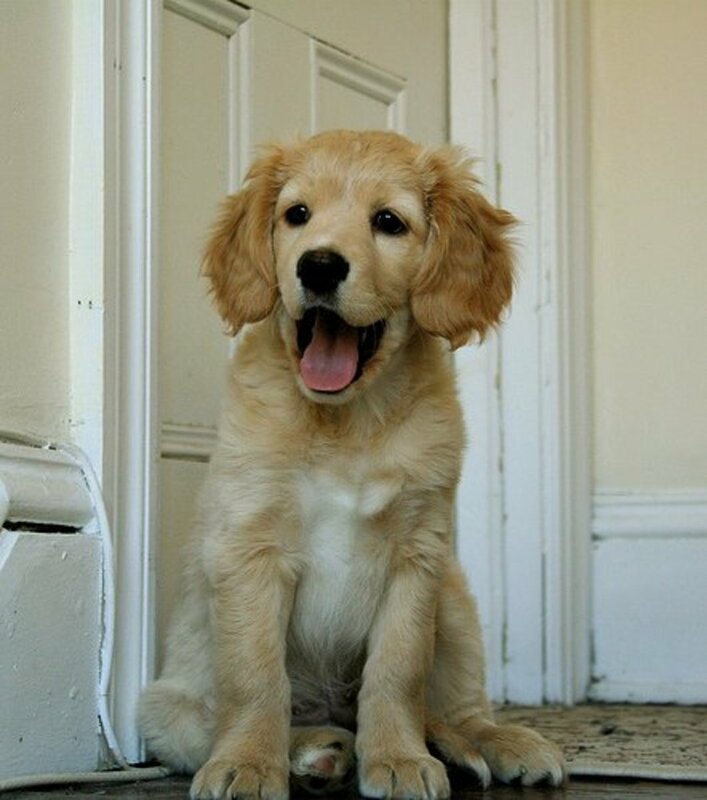 I love Goldens. I used to be in a relationship for a long time with someone who was a GR breeder. I was trying to remember all the names of the ones we had at home: SnowBear, Betsy, Brutus, Maggie, Dolly, Simba, Maxwell, Sammy, Buddy and Sydney. I miss them. I found it funny that none of these names are on your list, ha. I did get 100% on the quiz although I expected to :) Fun hub! Hi Bonnie - Sunshine would definitely work - I put Sunny for a boy because that's what my very good friends called theirs.